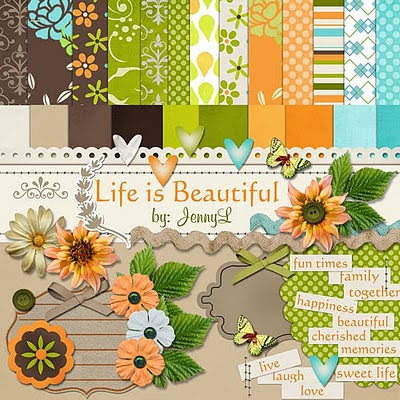 This is the recent digital scrapbooking kit that I have at ARTSCOW and I named it LIFE IS BEAUTIFUL. This kit is so versatile as you can use it for your different projects. For summer, family, valentines, mother's day, vacation, kids photos and more. I have lots of templates that I made using this kit and hope you can use them on your project. Just add this kit to your account at Artscow and you can use it to make different projects.